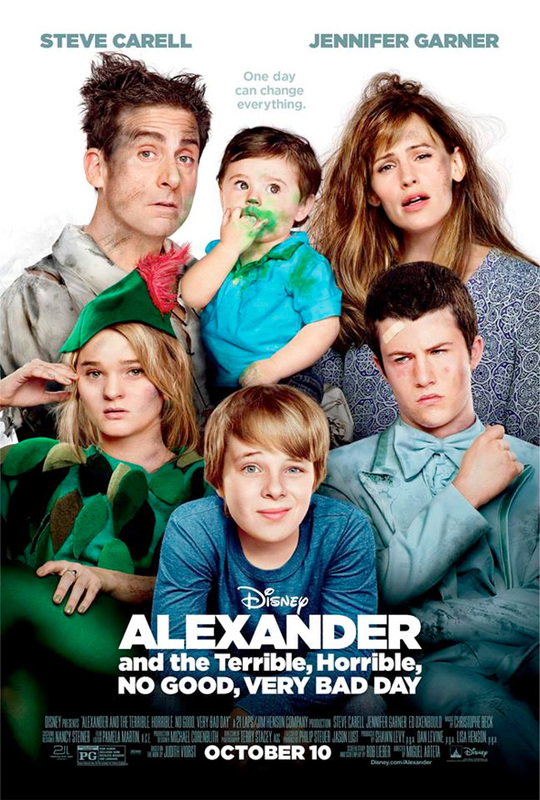 We've already seen an underwhelming trailer for the lengthy titled family comedy Alexander and the Terrible, Horrible, No Good, Very Bad Day from 20th Century Fox starring Steve Carell and Jennifer Garner, and now two new posters show just how bad this day is going to get. 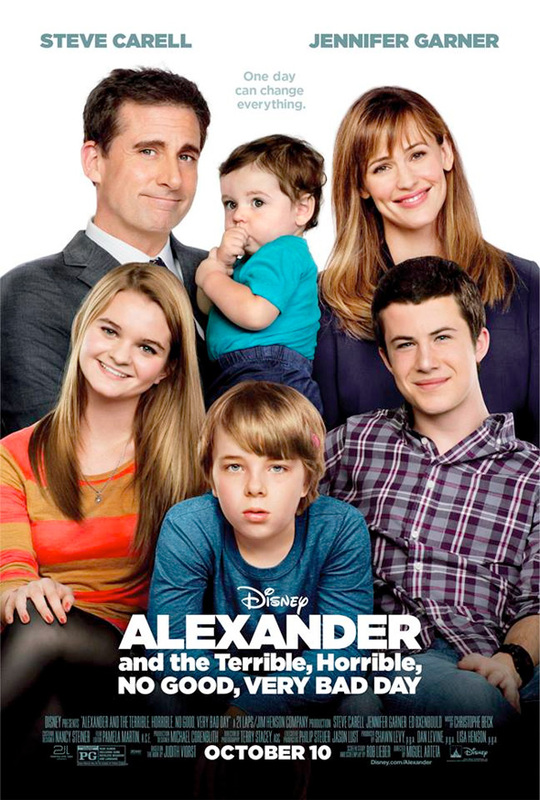 One poster shows the young Alexander (Ed Oxenbould) with his family, looking clean and happy before the bad day arrives. And the second one is an after pictures, showing the family is various levels of dishevelment, like they all got in a fight in the forest or got hit by a cartoon truck. We're not expecting much from the fall release. Look! Alexander and the Terrible, Horrible, No Good, Very Bad Day is directed by Miguel Arteta (Cedar Rapids) and written by first-time scribe Rob Lieber. The film follows the exploits of 11-year-old Alexander (Ed Oxenbould) as he experiences the most terrible and horrible day of his young life—a day that begins with gum stuck in his hair, followed by one calamity after another. But when Alexander finds little sympathy from his family, he soon learns that he's not alone when his brother, sister, mom and dad all find themselves living through their own terrible, horrible, no good, very bad day. Steve Carell, Jennifer Garner, Megan Mullally, Jennifer Coolidge and more also star in the film which 20th Century Fox releases October 10th. The girl's neck is stretched a bit too far in the "nice" pic. and there's definitely something off about the center boy's face in the second poster.